Magnum Wine & Tastings is as much about people as it is about wine. Magnum clients know that when they stop in to see Heath they are in the company of a friend who is cognizant of their needs. And make no mistake, when paired with the right person, a good wine satisfies a need. It can bring joy, comfort, relaxation, seduction, contentment; the list is endless. 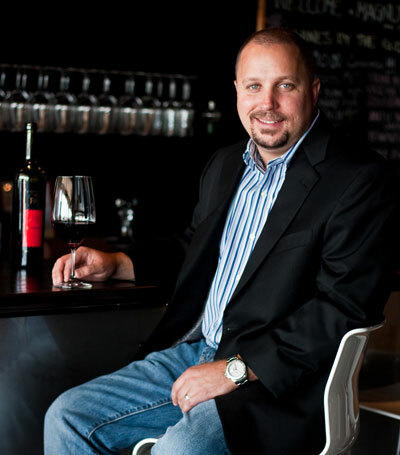 Magnum Wine & Tastings Owner, Heath Cordes, became entangled in this fascinating industry by accident; helping out a friend at their family business, the Bottle Shop on St. Armand’s Circle. Cordes’ casual relationship with wine snowballed into a deeply passionate one. “One day I had a bottle of 2001 Seghesio Barbera and it was like a switch was flipped. I guess you’d call it an epiphany.” At that moment Cordes was catapulted from casual drinker to collector. He became ensconced in the industry, often taking wine as payment for his hours at the Bottle Shop. After the Bottle Shop was sold to another family and turned into Cork, Cordes was hired back on to assist with the restaurant’s wine and spirit buying. Eventually overcome by the entrepreneurial spirit, be broke out on his own. He wanted to buy what he wanted to buy when he wanted to buy it. Cordes has created something more than just a place to buy wine. Cordes’ clients are his extended family. He gets to know each one personally, beyond their tastes in wine. The shop, and Cordes himself, represent lasting relationships and a dedication to customer service that harkens back to days gone by. Come experience something new today.